Today’s dip is definitely a kicker–I do not suggest serving this dip to your Nana and Pa UNLESS they are crazy garlic fiends! My Ota (thank goodness) IS–he is a lean, green, German, garlic-eating machine!! Hor Auf, liebe Oma! Dieses Rezept ist für ihn! 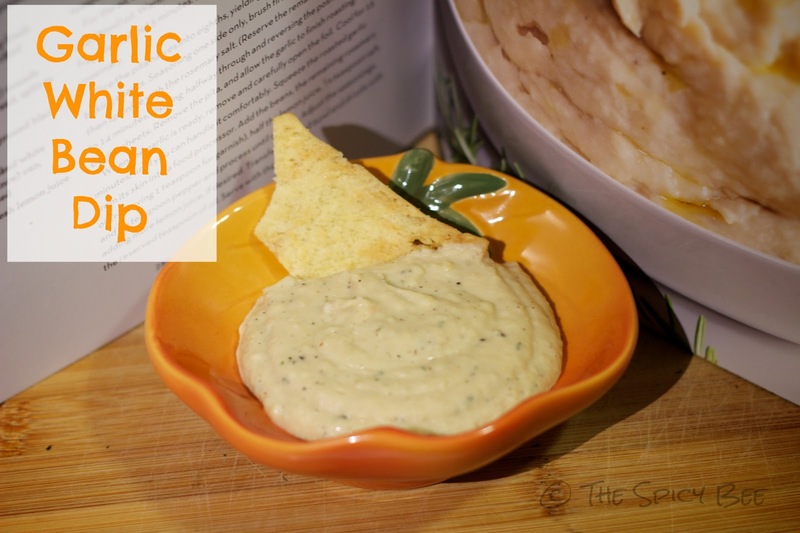 I found this lovely Garlic White Bean Dip recipe from Ripe by Cheryl Sternman Rule. She uses a whole head of garlic. I’m a trusting person so I thought, sure why not…WOWZA. Ktams and I couldn’t even finish the dish you see below without crying a little (that stuff was very close to 3rd circle of hell heat). So I’ve trimmed the recipe here or there in hopes that readers find it just a smidgen more pleasing to the palate than like an All-You-Can-Eat Challenge. The most important step is the first one–cut the tops off the garlic and roast them thoroughly (see the picture below for cutting). The best way I’ve found to roast the garlic is to create a tray for them with foil and roast them on the grill covered–you can also roast the garlic in the oven (also covered with foil) for about an hour at 350°F, until very soft. While the garlic cooks, chop up the 20 sprigs of rosemary to a fine paste and mix with the salt, and pepper; Set to the side. Combine a sprig of rosemary in the 1/3 c oil in a saucepan on low heat for about five minutes, until the oil is fragrant. Drain the rosemary from the oil and reserve the oil. Slice the pita into bite-sized pieces and brush with some of the rosemary oil. Salt lightly and bake for 12-14 minutes in the oven (350°F if you’re grilling the garlic). Add the oil to your food processor along with the white beans, roasted garlic, and the paste. Blend until smooth, then mix in the lemon juice. Make sure to taste the dip before you remove it from the processor! Make sure it’s to your liking! If it’s too sharp (meaning the garlic might not have been roasted long enough), add more beans and lemon juice. 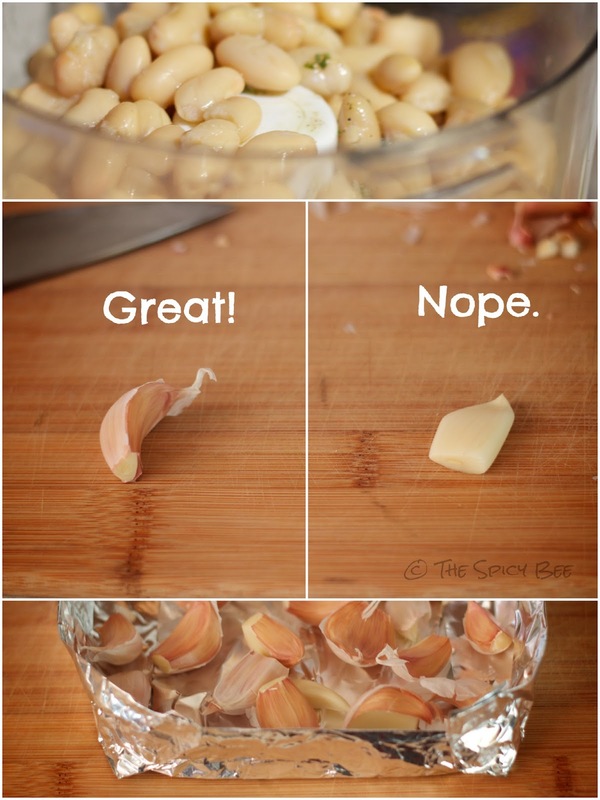 If it’s bland, add a small clove of raw garlic, a half clove at a time.